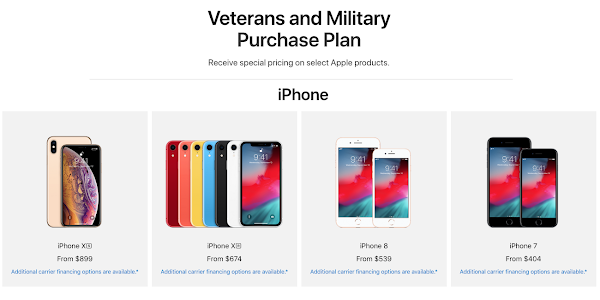 Apple has launched a new discount program for active military members and veterans. Similar to Apple's educational discounts, it offers 10% off Apple's catalog, including iPhones. You have to be an active duty member of the US military or a vet to take advantage of these discounts. When entering the store, you have to agree to a disclaimer before you can view these discounted prices. One highlight of this discount program is the reduced prices for iPhones, with the iPhone 7 having a low starting price of $404. Meanwhile, the iPhone 8 starts at $539, the iPhone XR $674 and the iPhone XS at $899. 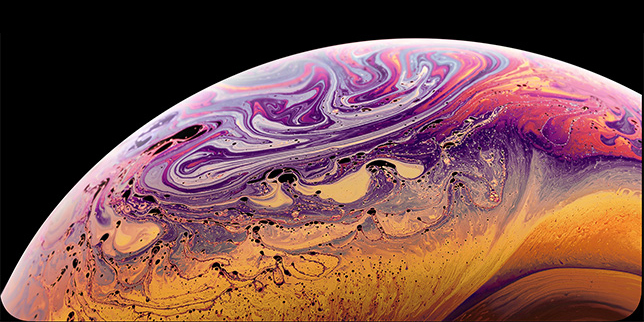 The most expensive iPhone XS Max is available $989, a low price unattainable for members of the general public. If you qualify for these discounts, follow the link below to pick up a brand new iPhone at these discounted prices.